New details are emerging about some of the communication between al Qaeda leaders that prompted so much concern among U.S. officials about an imminent terror threat they decided to close nearly two dozen embassies in the Middle East and Africa. CNN has previously reported U.S. officials intercepted a message between al Qaeda leader Ayman al-Zawahiri and a top ally in Yemen, Nasir al-Wuhayshi, with al-Zawahiri telling al-Wuhayshi to "do something" - an inference to a terror plot. 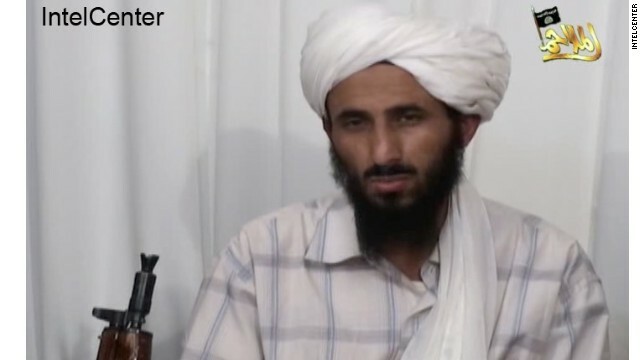 Now, two U.S. officials tell CNN that in his communication with al-Zawahiri, al-Wuhayshi, who is the leader of al Qaeda in the Arabian Peninsula (AQAP), laid out a plan for a plot; then, al-Zawahiri acknowledged the communication. Al-Wuhayshi, the officials said, was not asking for permission from al- Zawahiri - but rather informing him of his plans. This scenario - that al-Wuhayski presented al-Zawahiri with a plan - was first reported Friday in the Wall Street Journal. CNN has also learned that the al Qaeda leaders communicated via some kind of encrypted messaging system, with multiple points of entry to allow for various parties to join in. The Daily Beast reported Wednesday that al-Zawahiri, al-Wuhayshi and other al Qaeda leaders spoke via a conference call, but officials continue to insist to CNN that there was no traditional conference call. Eli Lake, one of the Daily Beast reporters, said later on Wednesday, in an appearance on CNN, that the terrorist gathering was "not a telephone conference call" but rather "a kind of remote conference where people are in." Can't fix stupid and democrats are the classic dictionary definition of stupid. @California,obviously you republicans haven't looked in a mirror for some time,stupid knows stupid right California because you rant about it constantly so you must be an officiatto about it as well,right brainless..Still in denile about your idols in the Bushs,I bet you are!!! This is just anoth international hate crime Any American saying the religon is to blame should re think catholisim and christianty or for that matter being a Jew... when they ckill all the brown people their whos next... this is a HATE CRIME and should be treated as one becasue they can't put a face to it...now politics has become about killing people of a race or religion in America.... they hate us because of how centuries of war in that region from Eruope to America has left them just fighting to unite each other while we kill everyone and anyone as we see fit to protect ourselves ofcourse WHERE IS THERE FREEDOM!! So Obama's talking I see. ALL Muslim TV channels have talk shows where Islamic clerics send open messages to Al-Qaeda. Islamic clerics are the most radical, perverse, intolerant, irrational, violent and discriminatory people, basically through their TV, radio shows incite Muslims to commit all kinds of atrocities using double talk that only Muslims understand. What about the right-wing thugs in Washington, Skorpio? I don't see you saying anything about them or those filthy creeps who operate those ungodly drones which continue to butcher people with complete impunity. Have you any sense of justice at all or just blind, right-wing hatred and ignorance? Be careful, there is one aimed at your a$$. That wouldn't at all surprise me, Chesty Puller. Only do try to refrain from using that nasty Tea Party lingo. It has no place in this discussion! Leader 1: How do you keep from being kicked when you do a goat or sheep? Leader 2: I put the hind legs of the goat or sheep in my boots before I do it. Leader 1: Praise be to allah for boots. Death to America!!!! it really makes me angry, if US can intercept a message between al Qaeda leader "Ayman al-Zawahiri" and...blah blah blah, why the F is still live? I am sure if they can intercept phone calls, they can pinpoint location too!!! I am very disappointed with Obama. So am I Phunnie boy, so am I. Obama promised back in 2008 to shut down Gitmo and stop the wanton torture of political prisoners there. He also promised to engage the Iranians only to renege later on. We need to find a way to engage the Muslims and give them back the lands that we took from them but most of all, to stop this heinous murder of civilians caused by our ungodly drones!!! Phunnie boy, how can we stop ungodly drones? These most wanted terrorists don't believe in surrendering to the US or governments of their countries !! @George Patton2,Pres.Obama wanted Gitmo shutdown remember and republicans balked look it up ! !And this deal you say about talks with Iranians is ongoing ignorent they're the ones being stubborn not US...And these drones are doing what our soldiers are sent to do kill wether its collateral or not ,get over it George thats the facts of war,like it or not! !And idiot just what land did we take from Muslims Alaska,Hawaii you delushional troll!! This al-Wuhayashi guy just seems like a small fry that will be toasted in a drone strike, not too worried about him. The real big fish in this pond is Zawahiri. It is pretty clear that Zawahiri is the real mastermind here, and probably was during Osama. Zawahiri is probably hiding in the land of treachery, pakistan, as well. The US needs to get tough on Pakistan, stop sending them money and weapons when we know they have been betraying us for 12+ years by hiding AQ's top leadership. Also don't give AQ in Syria weapons, that's just dumb, that's like repeating history right there. I get the point that Assad is a brutal dictator, but whether or not Assad wins or loses really doesn't matter as it appears the Syrians are set to keep fighting regardless of who wins. Also good work for once by the State Department on keeping our diplomats safe. I think its pretty sad that not many people are aware of the signficance of the mass embassy closings or even worse thiey think it was a mistake. It is no mistake to be vigiliant about our very real enemies in the world, and it was the right move to take, and possibly thwarted a major terror attack. Good grief, another stupid post above from another mindless Tea Partier. However, this clown has one thing right, that is that we should never furnish those self-styled "liberators" in Syria as Obama is using them in his proxy bid to take over that country! shut up phunni boy, we should support nothing but vaporization of these terrorist scu ms. Per bammy, Al Quadea is on the run, and Detroit is alive, just another major screw up from this admin. Well you voted for it enjoy it. @Peppy,is that all you got between your ears in brain matter coming out! !Starting to sound like a imbecilic parrot from FAUX News..Don't come on till you have something intelligent to contribute besides your ignorent rants that make no sense because you obviously have none troll!! @ oh petey, I think for myself , u can continue to be fodder, its ok the world needs followers too. Its nice to know you know your spot, up bammys backside, have a nice day !!! @Peppy,what backside are you up because all I read from you is factless crap !! !At least at going after me your rant is different , not parrot like,keep it up troll you're doing better and have a nice one if you know how !!! Another so-called "terrorist" marked for assassination. These so-called murders are slowly giving this country a bad name and need to be done away with as soon as possible regardless of how politically "correct" they may be among the general public. Moreover, each and every country needs to be held by the same standard!